MESA and its partners from the private and public sectors are continually discovering new ways to collaborate and achieve meaningful and measurable impact. Industry partners provide MESA with critical financial resources as well as technical expertise, technology resources, internships and career preparation, mentors and volunteers, and much more. Exceptional philanthropic impact – MESA is unmatched at propelling students from historically underrepresented, low income and first generation college-going backgrounds toward success in STEM professions. A strategic investment in their talent pipeline – MESA delivers diverse students who are prepared with the academic, social, emotional and leadership skills to succeed as STEM professionals. Employee engagement – MESA offers an array of short and long-term volunteer opportunities for a rewarding investment in local communities. No other organization can deliver a diverse STEM workforce for the 21st century in the quantity, and of the quality, that MESA does. Oracle provided $30,000 for ten MESA teachers to attend the Oracle Academy in summer 2014 to learn the computer programming language, Java. The teachers have since worked jointly to develop an online Java contest for MESA as well as teach the language to high school students in MESA classes. 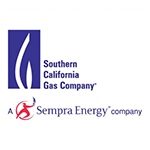 Southern California Gas Company supported five MESA centers with $10,000 each to expand their work in K-12 programming in Southern California in 2013-2014. 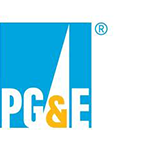 The PG&E Corporation Foundation provided funding for MESA students from Northern California to attend the 2014 Student Leadership Conference in San Diego, while the PG&E Company contributed cash prizes awarded to the winners of the conference’s MESA Video Challenge. From 2007 through 2013, PG&E also provided deserving MESA students financial scholarships ranging from $500 to $1,000 per year. In 2013, MESA piloted a mentorship program with Cisco by pairing 30 MESA students with 30 Cisco employees. Students came from 4 MESA community college and 2 university programs in the Bay Area. Cisco mentors requested their leaders to host a special recruiting day where their mentees could participate in simulated interviews as well as apply for job openings and internships in the company. Three students were offered permanent positions while another two received internships at Cisco. A second 2014 cohort includes 32 students from 7 MESA campuses.